After a successful run at the National Black Theatre in Harlem, Kill Move Paradise makes its Philadelphia premiere at The Wilma Theater. 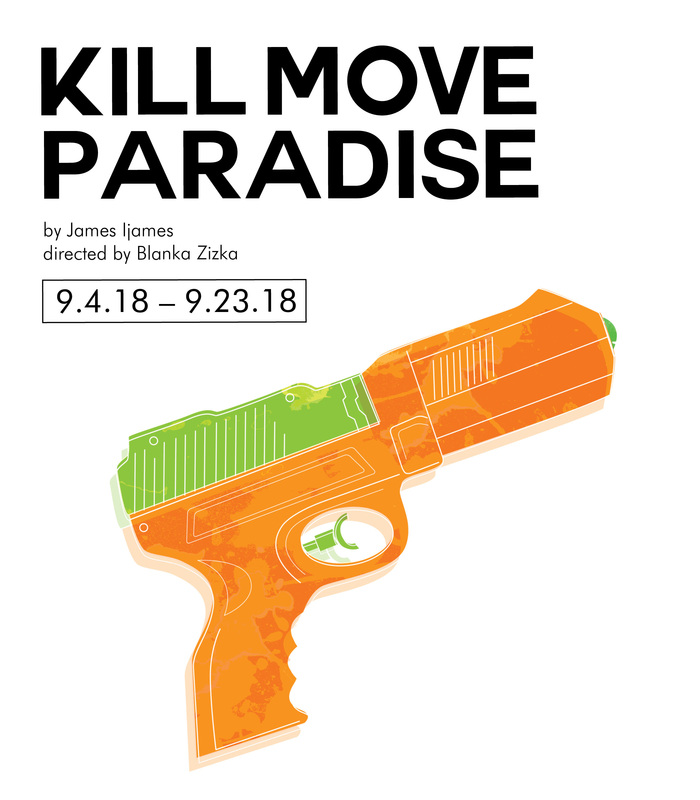 Written by award-winning local playwright and HotHouse Affiliated Artist James Ijames, Kill Move Paradise follows Isa, Grif, Daz, and Tiny as they find themselves in an afterlife. Together they confront the police brutality and violent power structure that placed them there and help each other embrace the paradise waiting for them. Kill Move Paradise will run from September 4th through the 23rd and will be a part of the 2018 Philadelphia Fringe Festival. James Ijames is a Philadelphia based performer and playwright. He has appeared regionally in productions at The Arden Theatre Company, The Philadelphia Theatre Company, InterAct Theatre Company, The Wilma Theater, Baltimore Center Stage, Mauckingbird Theatre Company, and People’s Light and Theatre. James’ plays have been produced by Flashpoint Theater Company, Orbiter 3, Theatre Horizon (Norristown, PA), The National Black Theatre (NYC), Ally Theatre (Washington, DC) and have received development with PlayPenn New Play Conference, The Lark, Playwright’s Horizon, Clubbed Thumb, Villanova Theater, The Gulfshore Playhouse, The Wilma Theater, Azuka Theatre and Victory Gardens. James is the 2011 F. Otto Haas Award for an Emerging Artist recipient, and he also won two Barrymores for Outstanding Supporting Actor in a Play for Superior Donuts and Angels in America and one Barrymore for Outstanding Direction of a Play for The Brothers Size with Simpatico Theatre Company. James is a 2011 Independence Foundation Fellow, a 2015 Pew Fellow for Playwriting, the 2015 winner of the Terrance McNally New Play Award for WHITE, the 2015 Kesselring Honorable Mention Prize winner for ….Miz Martha and a 2017 recipient of the Whiting Award. James is a founding member of Orbiter 3, Philadelphia’s first playwright producing collective and a mentor for The Foundry. He received a B.A. in Drama from Morehouse College in Atlanta, GA and a M.F.A. in Acting from Temple University in Philadelphia, PA. James is Assistant Professor of Theatre at Villanova University and resides in South Philadelphia.